Timex, a global leader in watchmaking for more than 160 years, has opened a new store in Japan this month. Located in Tokyo’s Shibuya shopping district, the two-floor brick-and-mortar will operate as a flagship store for the brand, with the intention to expand in the future. The store will be selling a selection of the best Timex® watches, along with T-shirts exclusively designed for this location, and accessories such as fine leather goods. Additionally, to celebrate the opening of the store, Timex Group Design Director Giorgio Galli has designed a special edition of their classic Easy Reader® watch. It will come with a black Horween leather strap, and features ‘Tokyo Store 2017’ on the dial. When turning on the watch’s INDIGLO® Night-Light, a watermarked number 40 will appear to commemorate the 40th anniversary of the Easy Reader watch this year. 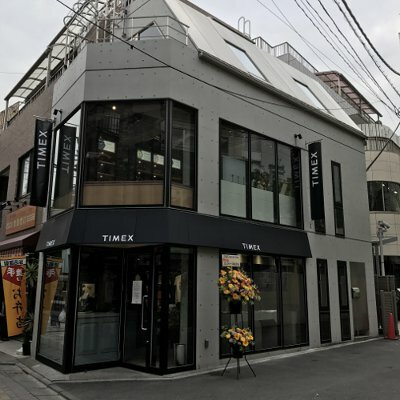 The Timex Tokyo Flagship store held a private opening for media and business partners on April 21st, followed by the official launch on April 22nd.